Demystify this condition with a succinct set of facts about cracked teeth. Denotes the signs of a cracked tooth and what causes it, from bruxism to accidents to large fillings. Explains why a crack can be painful and that the pulp may be affected. Lists possibilities for treatment, depending on the cause. 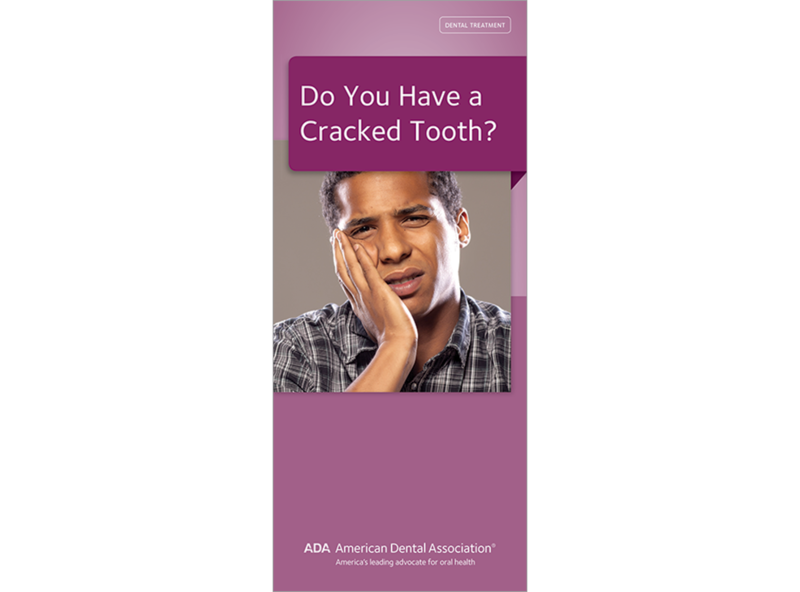 Includes cracked tooth illustrations plus a photo of a cracked tooth with a large filling. 6 panels, pack of 50. PERSONALIZED Do You Have a Cracked Tooth?